When it’s done right it is a wonderful thing. The collection dedicated to meeting a specific need: carefully selected, sensibly arranged, appropriately indexed, comprehensive in its coverage and range of formats. It is precisely calibrated to meet a need. On its own it is a collection – worthy of celebration. But put the collection together with a community of users and a team of knowledgeable library staff and it turns into a Library – a boon to civilisation and scholarship. there’s nothing quite like the glorious serendipity of finding a book you didn’t know you wanted to read. Anybody online can find a book they know they want to read, but it’s so much harder to find a book you didn’t know you want to read. Public libraries are under great threat, even though they have many vocal defenders. Other kinds of libraries are equally under threat but don’t attract the same passionate advocates. My career has been in special libraries, specifically what are sometimes called workplace libraries, where the raison d’etre for the library is the needs of a group of people in a workplace. In special libraries it is definitely the reader who comes before the collection. Information needs are expressed by users, and captured by the librarian, who must take actions to meet those needs. The user needs define the shape and contents of the collection, and its organisation. In an engineering library you may find a small section of books on ‘medicine’, probably all lumped together under one classification mark. In a medical library those books would need to be classified in far more detail (dividing them into finer shades of topics), but any books on ‘engineering’ would be lumped into a single section. Thus, indexing and classification in the library must be determined by the needs of the users. Classification is relative, not absolute. A creative librarian will also develop services on top of the collection to meet particular needs of the community of users. The library’s collection policy is an expression of its approach to managing the collection. It defines what to acquire, what to keep, and what to discard. It may aim for homeostasis (a fixed size) or it may attempt to keep hold of everything it has ever acquired (continual expansion). 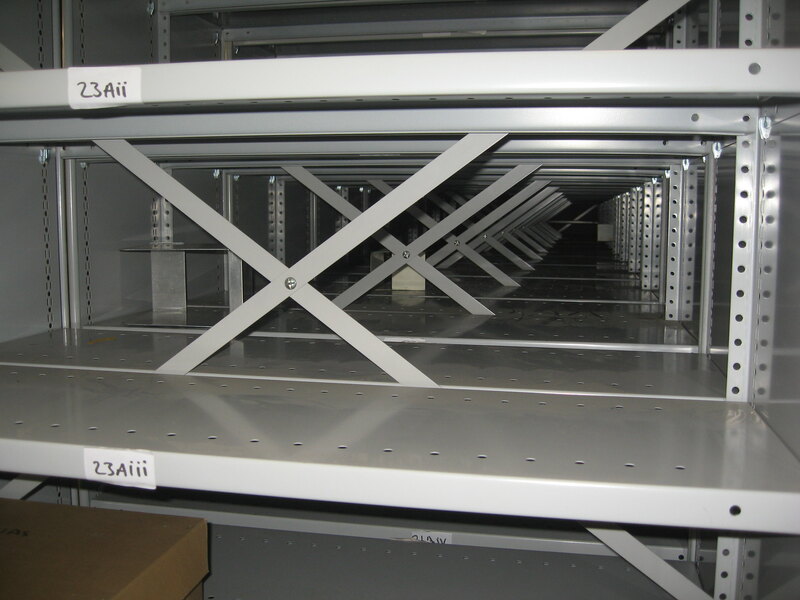 Often libraries will make use of secondary storage space, where less-frequently required items are sent. (A bit like sending your old possessions up to the loft, or into the garage). 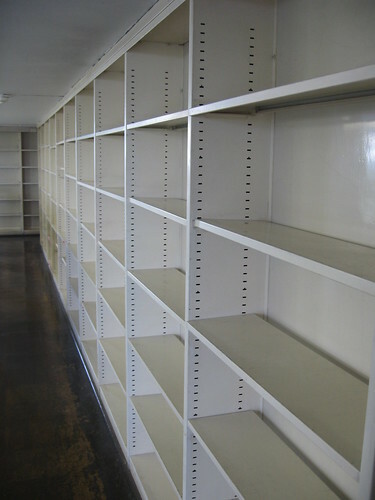 A mature library collection, with a long historical overhang in secondary storage, can be seen as a record of the organisation’s interests and development. It reflects some of the parent organisation’s history. A library devoted to a single subject for a long period of time, e.g. a learned society library like the Linnean Society Library, becomes an unrivalled repository of knowledge about the subject. Over the years the library’s users and their needs may change, and this will impact on the collection and services too. Of course library staff may also change, and while they will strive for continuity there will inevitably be changes in emphasis as new staff replace old staff and make their mark with their own particular quirks. The library cannot stand still. Space limitations may mean that it cannot grow indefinitely large, but it still needs to live – to develop as user needs change and publishing trends change. 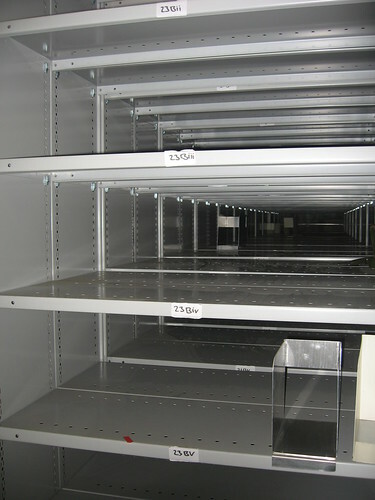 The library will discard (or relegate) no longer needed items as well as ingest new items. It must also exploit new developments in technology and the information industry, and adapt to changes in the broader environment. There should be a tight link between the collection, its users and the workplace, so that they change in harmony. But if an organisation undergoes a more radical change then the collection can come under threat. When organisations close, restructure, split, or suffer severe financial troubles, then there will be dire consequences for the library service and collection. This is the way of the world but, especially for longer-established collections, it can be a cause for some regret. Simon Barron has pointed out that sometimes there is a conflict between those who worship books regardless of use and the drive for efficient collection management. I saw a project advertised a couple of years back about the “non-economic benefits of culture“. I wonder whether it included a strand about the cultural value of libraries (of all kinds)? A few years back I was the membership secretary for CHILL (a grouping of independent health-related libraries). These all count as special libraries, many of them relatively small. It was salutary to count up each year how many members had fallen by the wayside in the preceding 12 months. One member was a charity called Drugscope which had a fantastic information service on addiction, run by a dynamic information professional. But one year some of the charity’s key funding grants were not renewed, leaving a funding hole. There was no money to fund the information service. It just closed. Apparently it was not the only one. An editorial in Addiction in 2012 said: “Special libraries in the addiction field have been downsized or closed at an alarming rate during the past decade”. The Royal College of Midwives also had an enviable collection and information services run by knowledgeable staff. Financial pressures led to closure. Happily the Library of the Royal College of Obstetrics and Gynaecology stepped in to rescue the collection in this case, or it would have been lost. Sadly the knowledgeable staff were lost. When the Royal Pharmaceutical Society of Great Britain was split, into a professional society and a regulatory body, this also occasioned a massive change for the library. Retaining a large historical collection was no longer economically feasible and a “lean and mean” approach was adopted instead. Large numbers of older items were disposed of. Anecdotally I have heard that many Government department libraries have closed or drastically downsized in recent years, due to restructuring, merging or closure of departments. Of course it’s important that libraries provide useful services in an efficient manner, but the inevitable consequence of rapid organisational change is the loss of many items of real historical interest. Scientists in Canada are up in arms over the recent closure of more than a dozen federal science libraries … Scientists fear that valuable archival information is being lost. Of most concern is the so-called grey literature — information such as conference proceedings and internal departmental reports. 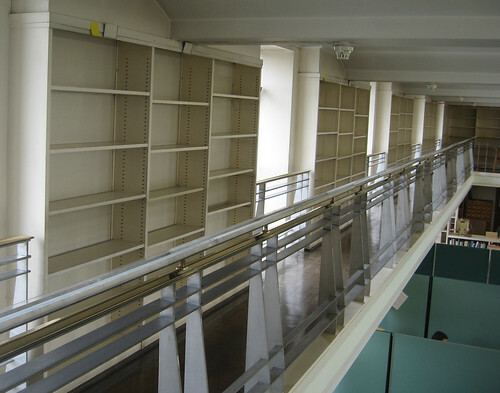 We have a worldwide librarygeddon – loss or destruction of many specialist collections. Does it matter? Maybe, but probably not enough that we can do anything to change it. My interest in this topic began in 2003, when I first learnt of plans for my Institute to be moved. The plans changed over time, but it has been blindingly evident to me right from 2003 that if the Institute moved from Mill Hill it would spell the end for our Library collections. I have got used to the idea and I can think of no valid argument why things should be any different, but I still regret that things have to be this way. 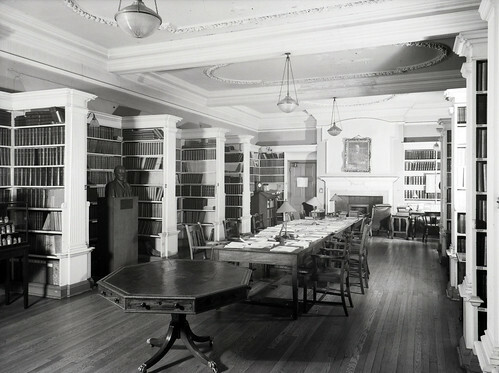 The NIMR library began in 1920 when the Institute moved into its Hampstead home. The aim of the library was to support scientific medical research at the Institute and to be a resource for the nation’s medical researchers. Work to assemble the collection had begun prior to 1920, collecting materials from around the world. Many items were received as donations, or through exchange programs. The MRC published Medical Science: abstracts and reviews and its highly-regarded Special Report Series, so it had valuable publications to offer in return for free journals and reports from other organisations. In those colonial days, reports (grey literature) were received from research organisations across the British Empire and the rest of the world. We even used to receive The Lancet free of charge (though this changed when Elsevier bought the journal). 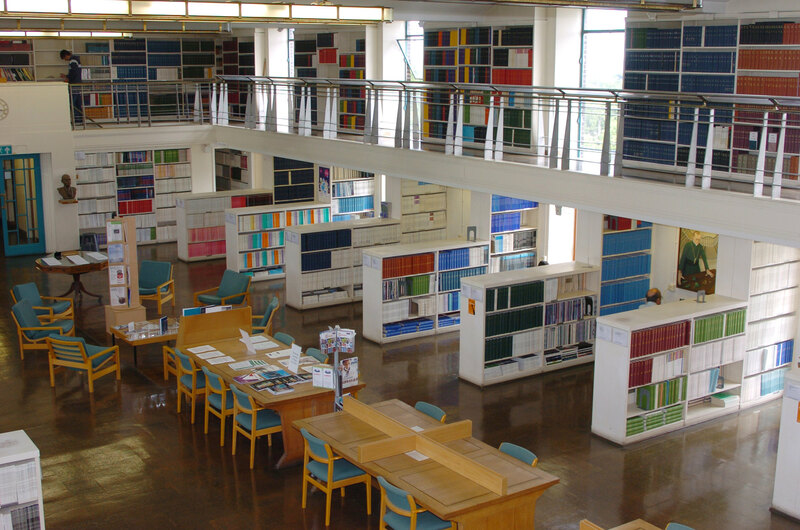 As well as books, journals and reports, the Library has an extensive collection of pamphlets and reprints. The collection represents a unique period of British medical research, when Hampstead and later Mill Hill were at its centre. The reprints were largely collected by individual scientists, I believe, and periodically deposited in the Library. 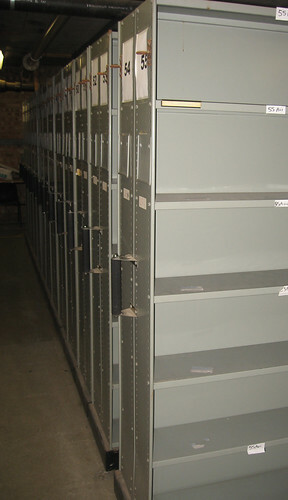 They were all carefully catalogued and subject indexed – we have a vast rank of filing drawers filled with index cards. I think of the reprint collection as the intellectual encrustation of the Institute’s research, from the 1920s to the 1960s. Reprints have become unfashionable and few libraries are interested in taking large collections of reprints. But I think much of the value of the reprint collection is in the catalogue rather than the reprints themselves. It is a unique historical document of 20th century biomedical science. It’s a strange thing, but when scientific records/publications become old they often have less value to science, but more value to the humanities, especially history. Just by keeping hold of our science literature collections as they aged so we acquired a history collection. The trouble was, we were not funded for historical research but for scientific research. Therein lies the problem I faced. Looking back, I can see many ways that I could have handled it better but I did as best as I could at the time. The simplest thing to do would have been to just throw everything away, and for a while I was afraid that was exactly what I would have to do. Happily, I gained approval (and resources) from on high to undertake a few projects to help ensure that those parts of the collection with most value could be dispersed responsibly. There were about 3km of shelving filled with printed materials that needed to be disposed of. Printed journal volumes accounted for much of the shelf space. The pace of digitisation of journals is such that it is very hard to find homes for printed journals. We did find homes in other libraries for a small quantity of journals, but most of the journals were sent for recycling. Preliminary enquiries made it very clear that few libraries had an interest in more than a small proportion of the other items. That is not surprising – libraries can only collect what matches their strategic needs, and their collection policies (vide supra). The lists that we prepared of the most desirable groups of items – the pamphlets, reports and older books – have helped us to find homes for quite a few items. The 5,000 pamphlets in particular have gone as a single block to a major library. I tweeted pictures of quite a few of the books that have been transferred to other libraries, under the hashtag #nimrlibrarybyebye. A few hundred have found homes in libraries, mostly in London but some further afield. A few hundred books have been retained to form a historical collection in the new institute – more of this in a later post. Some others have been retained by some of the labs for their use. And a few hundred have been transferred to members of staff as mementoes of NIMR. But several thousand items will go to the secondhand trade – I hope they will eventually make their way to collectors’ shelves. I should emphasise that most items in the NIMR Library collection are not unique – probably not even rare by the standards of rare book collectors. And not really old either. Most of the collection was 20th century. It is not so much the items themselves that I am mourning here, but the collection of all the items. It’s the whole collection that is greater than the sum of its parts, the connections between all the different documents and the context of the Institute . This notion (value of the collection versus value of individual items) is a bit intangible, and unquantifiable; perhaps not a thing at all. That’s why when it is all gone (quite soon now), probably no-one will notice, or remember that it was there, apart from me. I will remember. This entry was posted in Books, Collections, Libraries and librarians. Bookmark the permalink. A beautiful personal tribute to an important intangible, that of the collection that once was. The feelings are not even proportional to the size of the collection. But your regret for the disappearance of the connections between the physical objects that made it up here is tangible. I came across this and wondered if you feel the same pressures and draw the same conclusions? The piece you link to is interesting. I’ll read it properly later but on a quick skim through I can relate to what she says. It was always taken as a given that the library had a key role in the old research institute, with the full backing of the director. Perhaps that made me too lazy. I think it is useful to reflect at a deep level on why we do what we do, and to verbalise that. As we entered the time of uncertainty – building a new institution, questioning everything, making solid foundations – so nothing could be taken for granted. But that’s all fodder for another post one day!